Right now, a lot of us are buzzing about frozen plants. 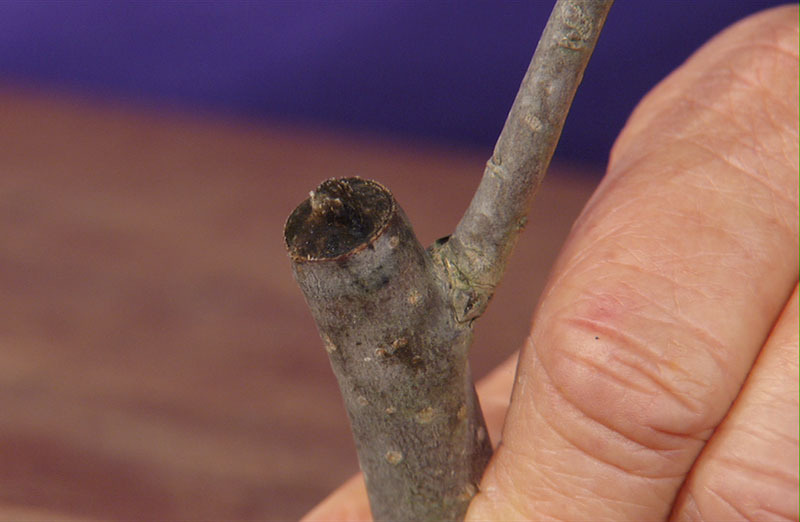 On Feb. 15, Daphne has cutting edge info on pruning. Until then, if your hands are clamped to the pruners, I’m waiting until late February to cut my bamboo muhly to the ground. Instead, let’s get moving! 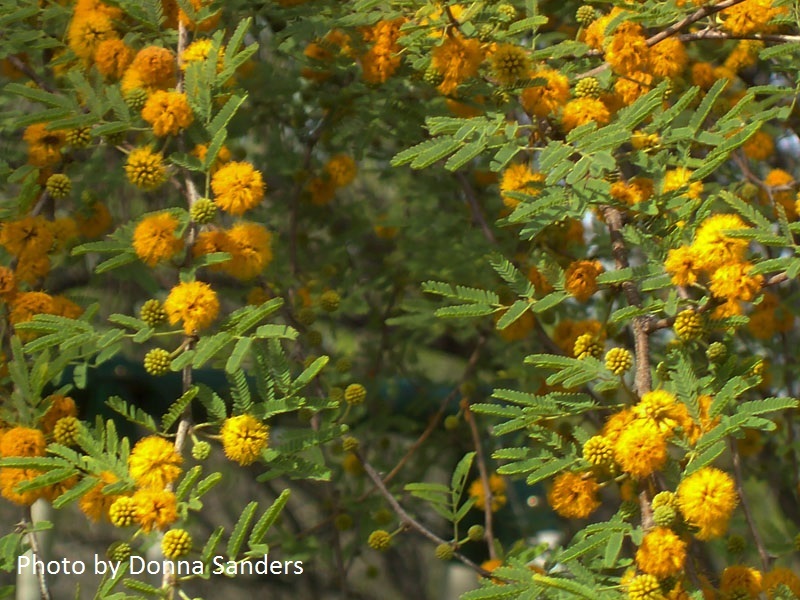 Trees, shrubs, perennials like asters, and roses: if they’re in the wrong spot or you want to divide them, now’s the time to put the pedal to metal (shovel). 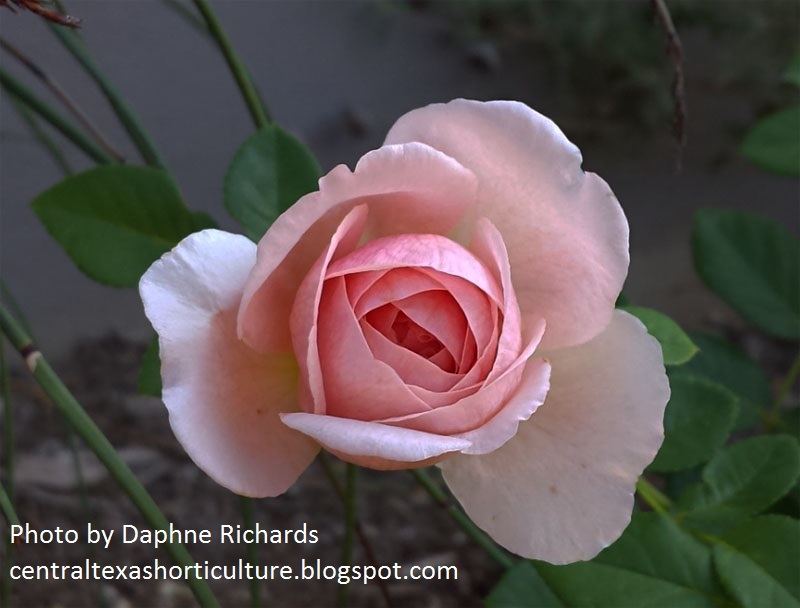 Get Daphne’s tips about moving roses. We can start our annual rose pruning clean-up as soon as they send out new buds, which is right about now for me. 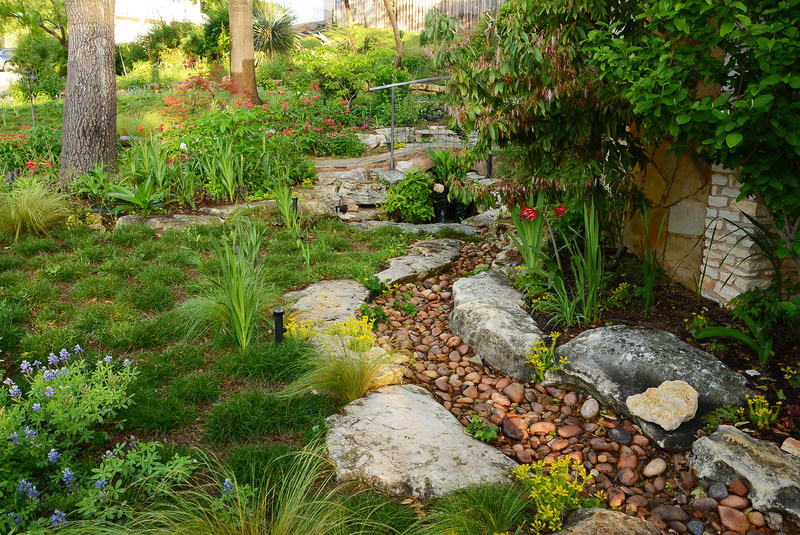 It’s a perfect time to plant them, too, like Janet Riley’s drought tough Cramoisi Superieur. I know for a fact that Daphne’s no water hound. 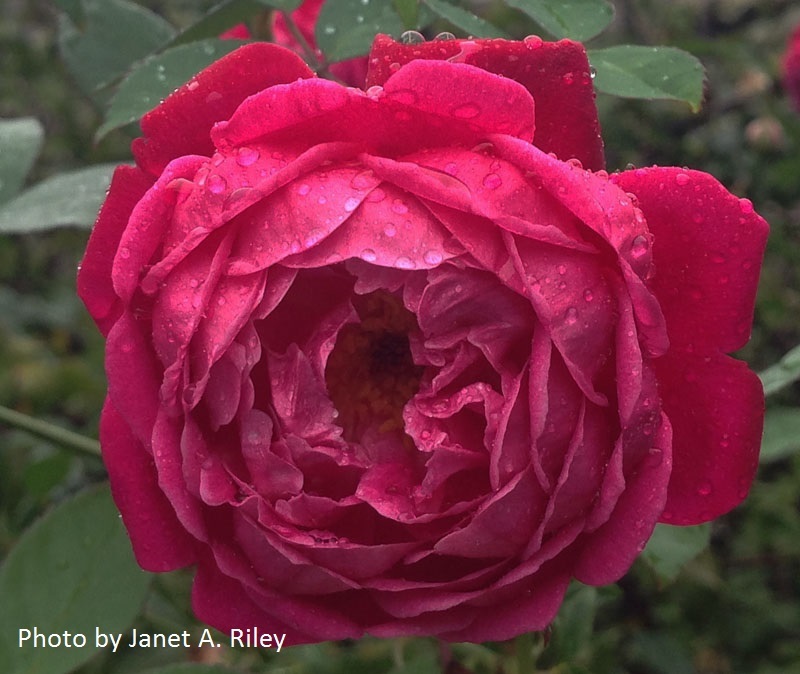 Find out why she loves her family sentimental favorite, Sharifa Asma, a David Austin that blooms its fragrant head off. Wish you could sniff it from here! 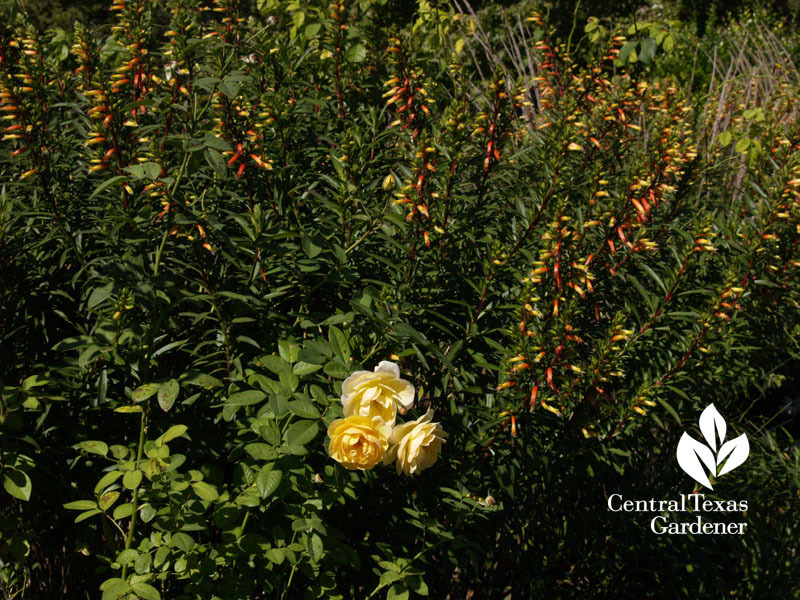 Like any rose, not every David Austin works for us. 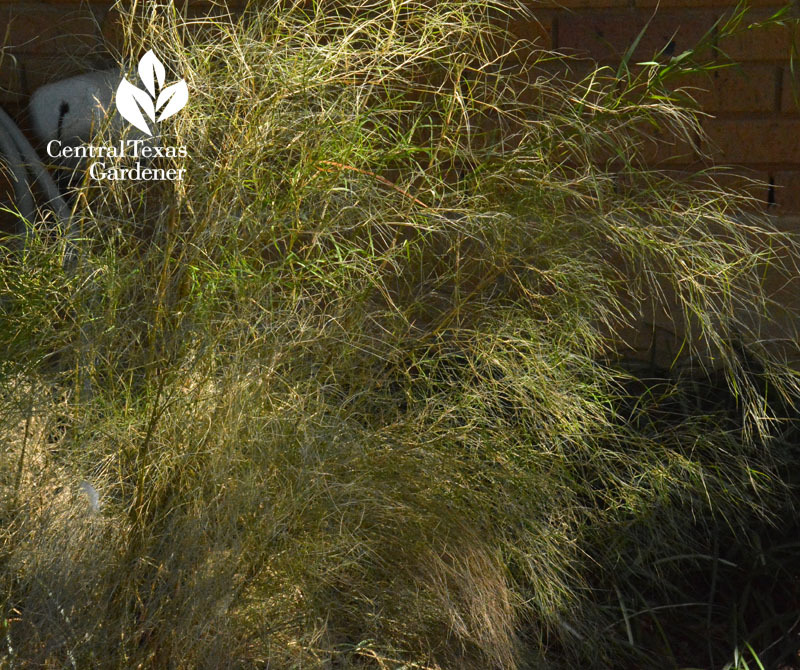 Certainly, Graham Thomas at the Antique Rose Emporium isn’t flustered by drought. I really like this combination with Cuphea micropetala. 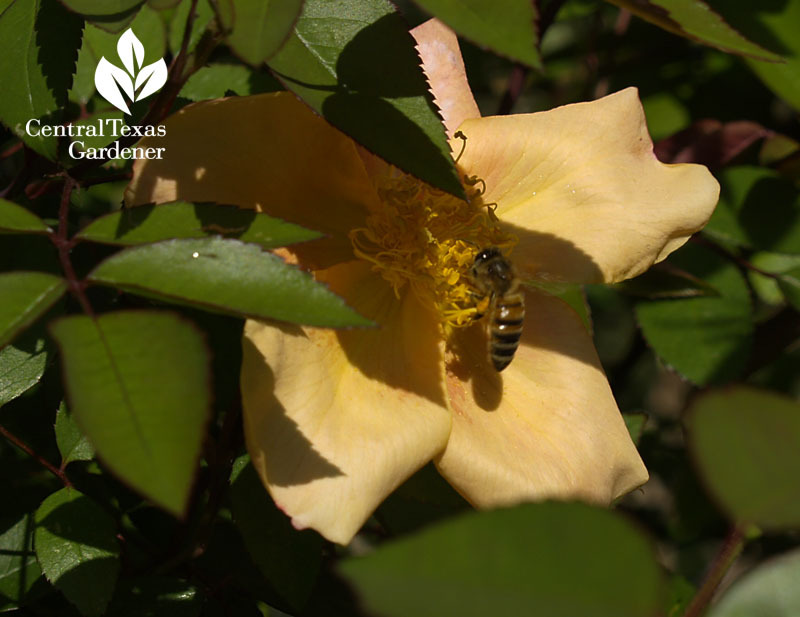 Bees sometimes go for rose pollen and nectar on single flowers like Mutabilis. For sure, they’ll join hummingbirds at Cupheas, like bat face cuphea. 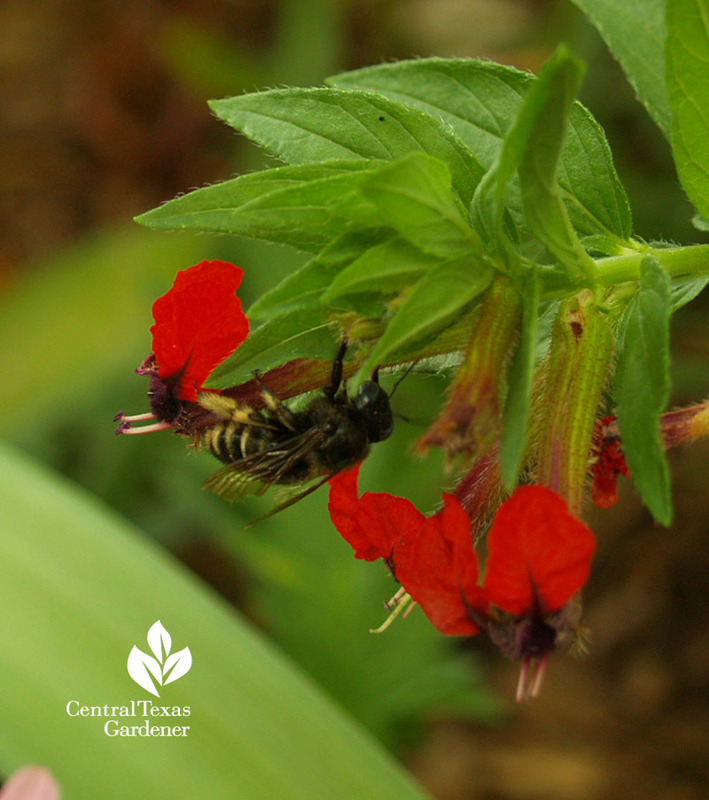 Since bees are energetic pollinators that need a helping hand, this week Tom joins Chris and Bill Reid from Reid’s Nursery to get your garden humming again! 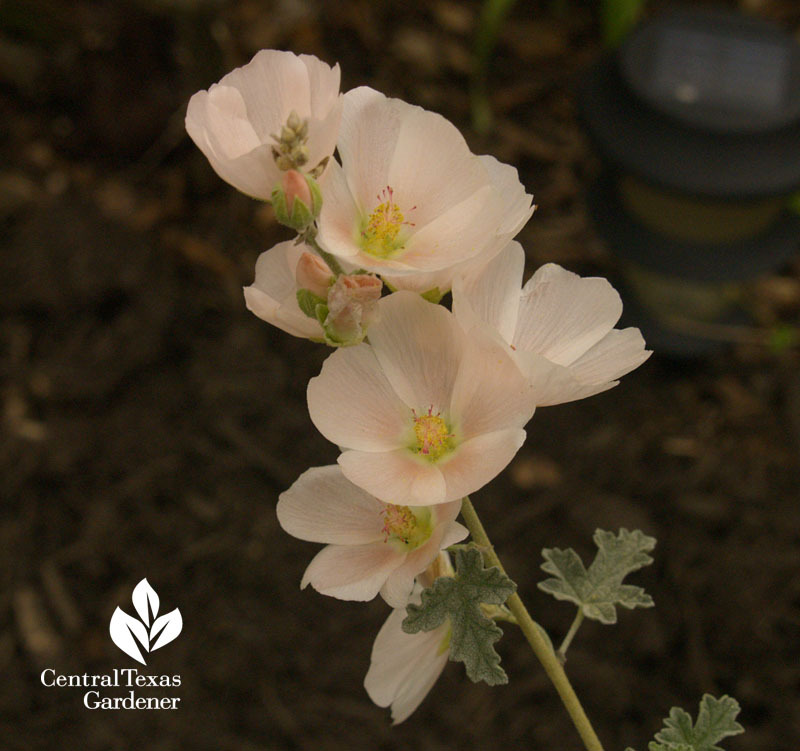 Drought-tough Globe mallow is a dreamy plant with silvery leaves and almost perpetual flowers. 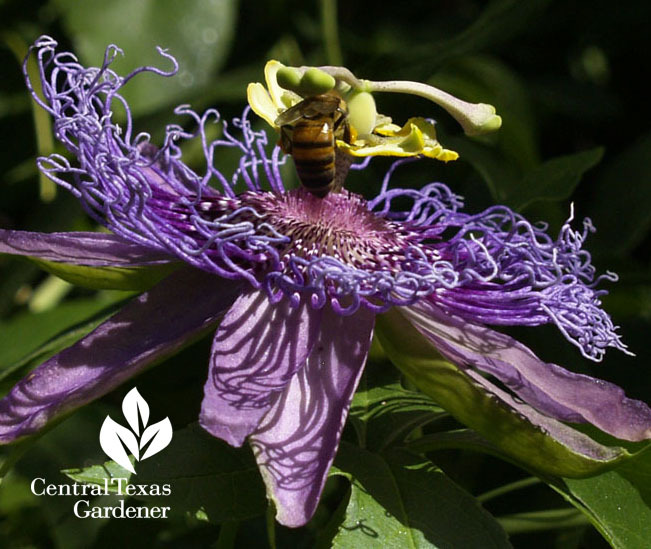 Reid’s Nursery, east of I-35 between Kyle and San Marcos, hosts free garden talks many weekends, including bee talk with The San Marcos Area Bee Wranglers on Feb. 16. 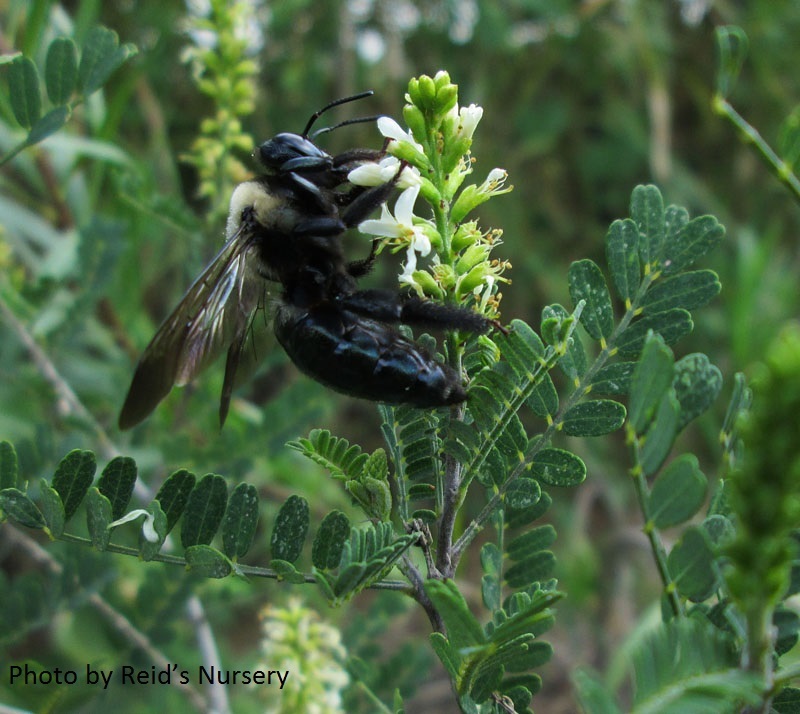 To really “bee” effective, Chris and Bill remind us to plant for forage all year long. 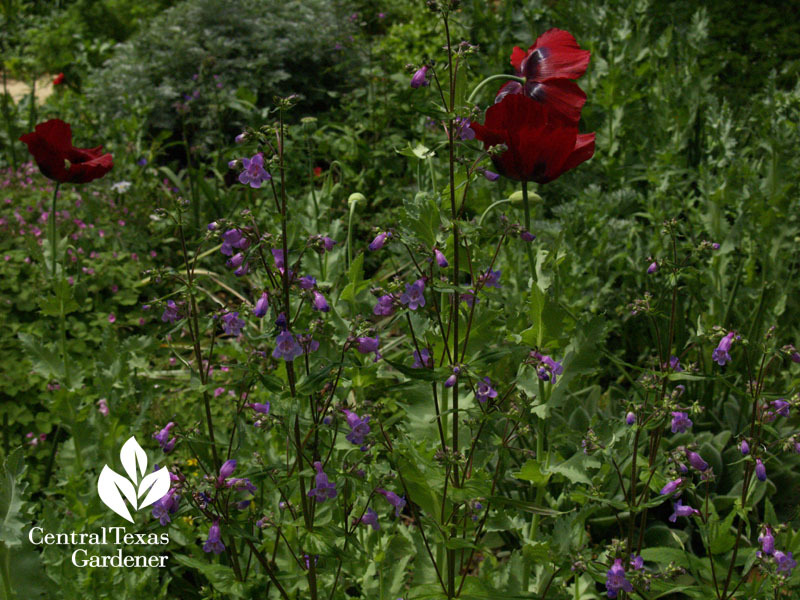 It’s easy in spring with penstemons, poppies, and native wildflowers. Summer’s busy, too, with salvias and passion vine. 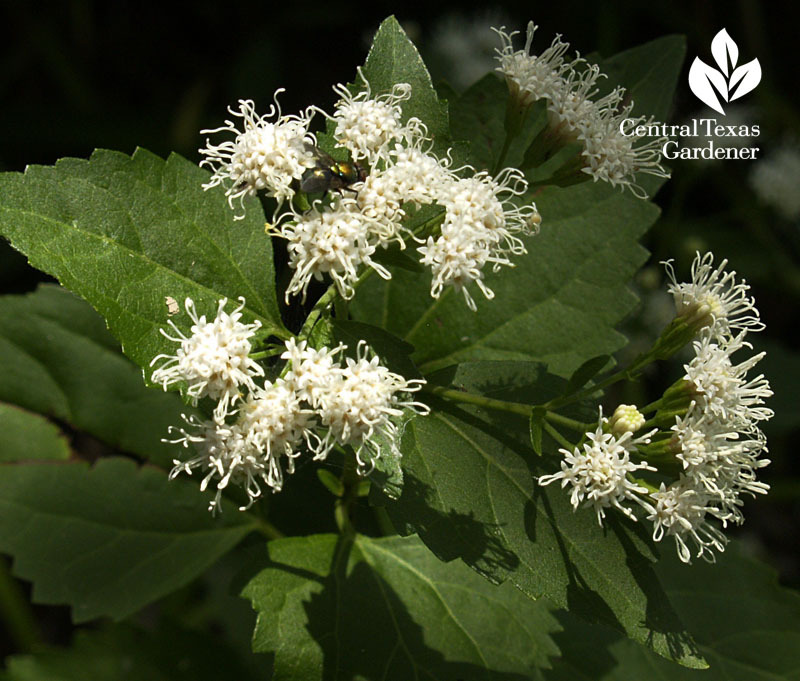 For late summer and fall, include native small tree kidneywood. 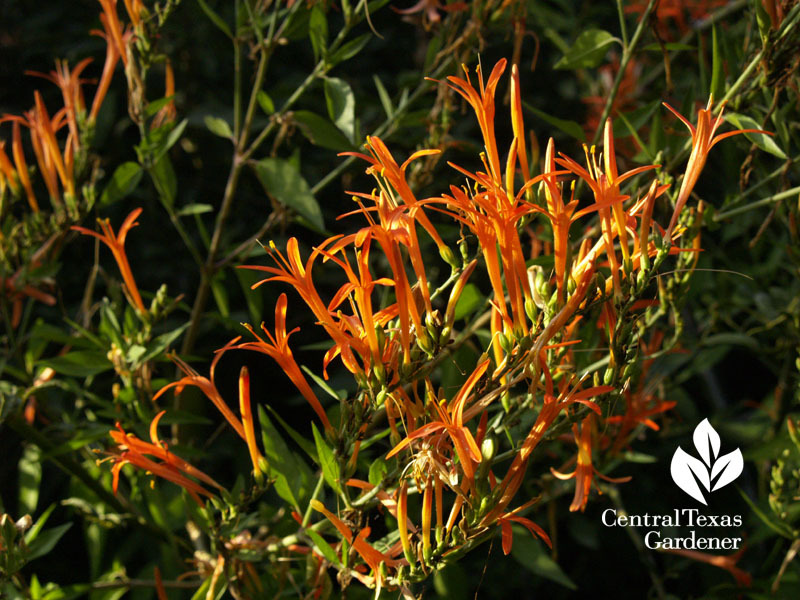 Perennial shrub flame acanthus attracts hummingbirds, too. This is one we can cut to the ground right now. 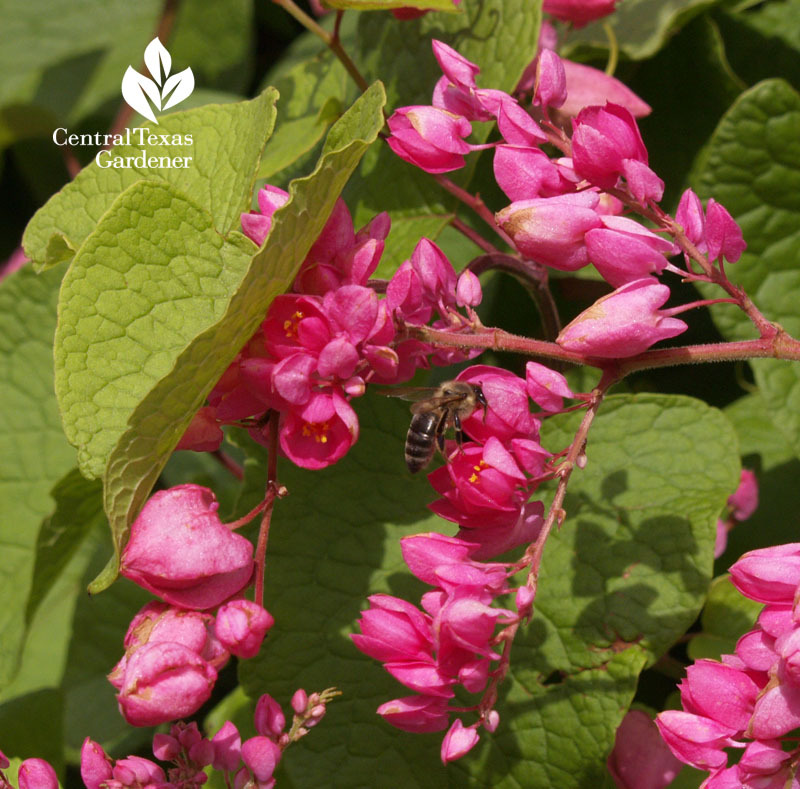 Queen’s wreath, also called coral vine. 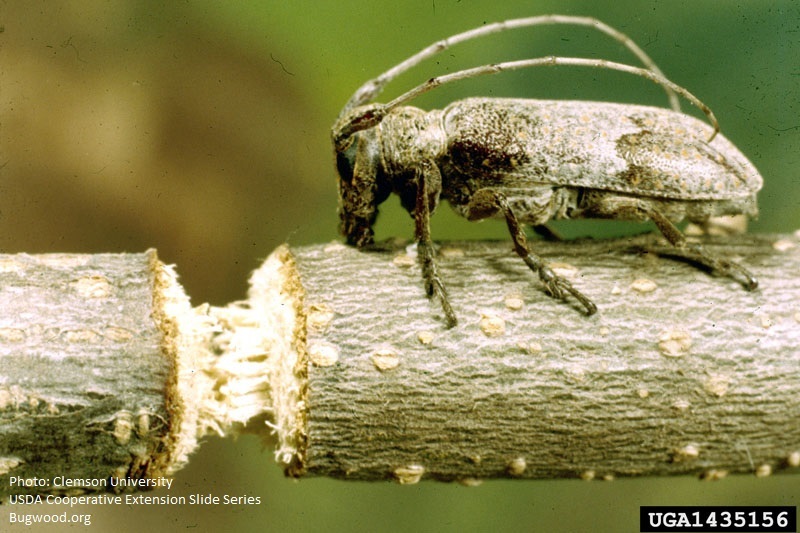 For some of us, the buzz is about twigs and even young trees getting chomped to fatality. Could it be twig girdlers? Trisha explains what’s going on and how to tell if the culprit is the insect or squirrels and raccoons. Here’s a picture shared with us by Clemson University – USDA Cooperative, since Trisha squashed one culprit before she took a picture! 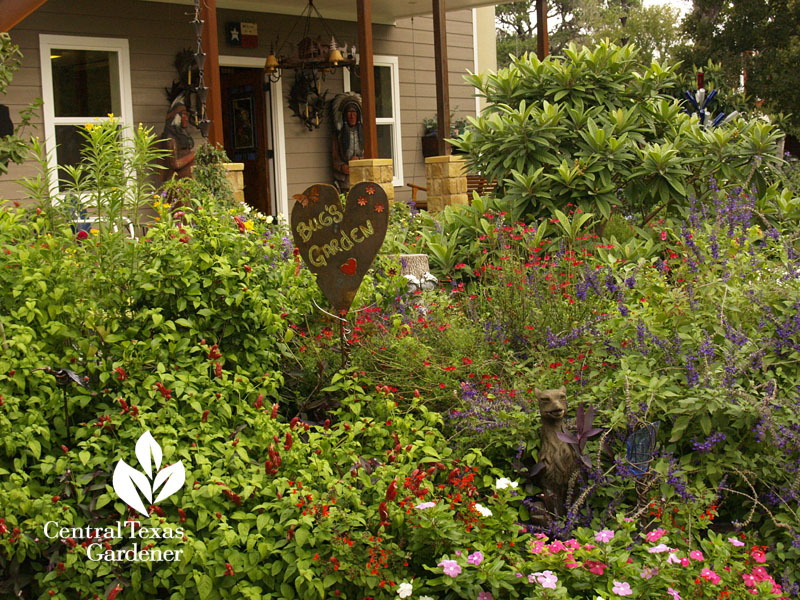 On tour, Dani & Gary Moss brought back the bees, birds, and butterflies after their new property was ravaged by oak wilt and former neglect. 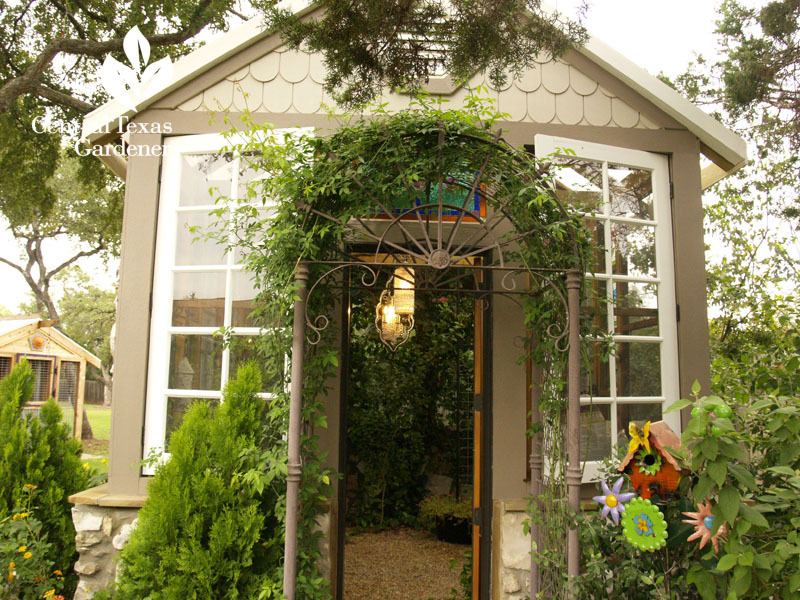 Along with gorgeous gardens peppered with garden art, this energetic duo built charming structures from recycled materials, welded their own structures and accents, and crafted stained glass. 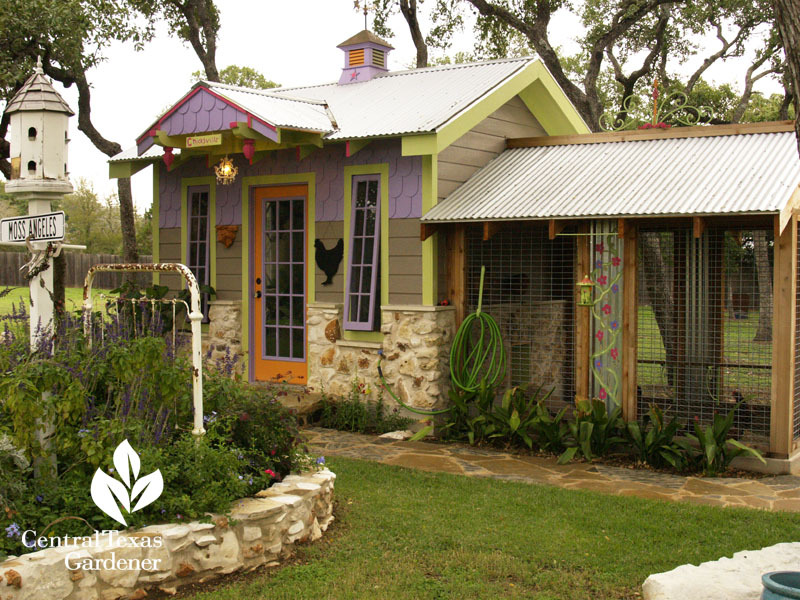 When Dani wanted chickens, they built Chicksville, as cute as their friendly and very comfy chickens. 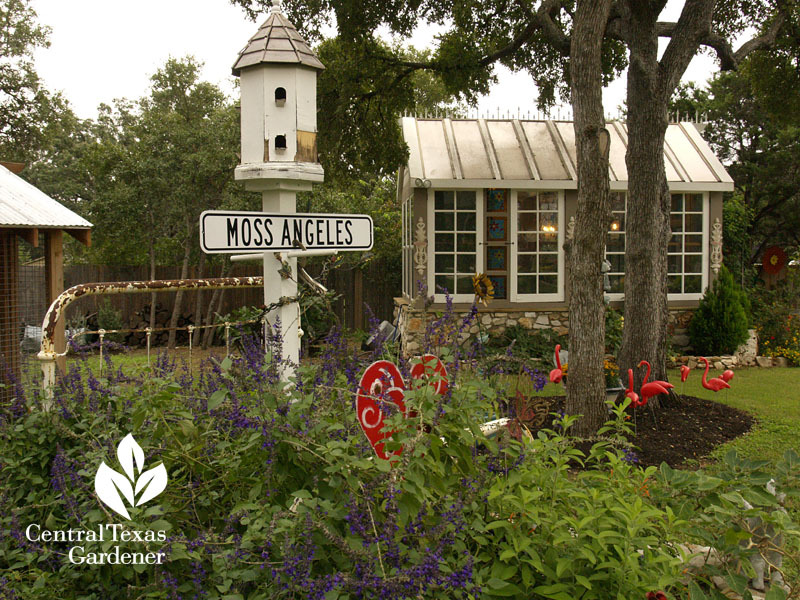 Meet them in person and tour the gardens on April 19 on this year’s Austin Funky Chicken Coop tour! 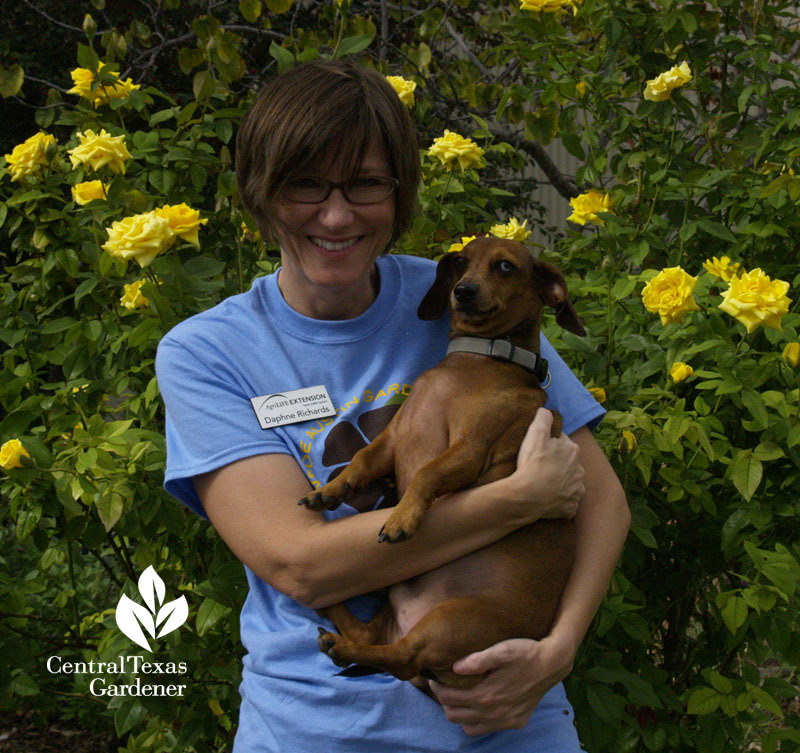 I’m really buzzing this week about Central Texas Gardener’s new YouTube channel! It would be as sweet as honey if you’d fly on over and subscribe. I’ve already added many of our fabulous videos on KLRU’s channel to the new playlists. If you can’t find a favorite video, it’s still on YouTube!